New Book Release: Emancipating the World! 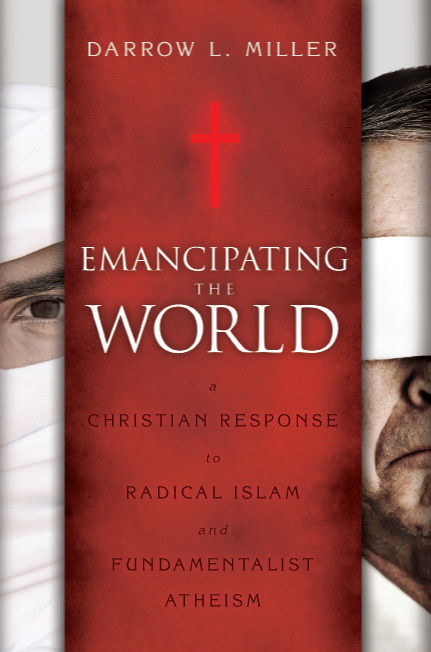 Darrow Miller’s latest title, Emancipating the World. A Christian Response to Radical Islam and Fundamentalist Atheism, was released May 1. This book treats what the Great Commission means for the church of 2012, facing Secular Atheism on the one hand and Radical Jihadism on the other. What should be the Christian response to these two fronts, the war in the West and the war from the East? Of all Darrow’s books, President Scott Allen deems Emancipating the World as perhaps closest to the core of the heart and message of Disciple Nations Alliance, i.e. the radical task of making disciples as Jesus envisioned it. Adherents of fundamentalist atheism and militant Islam know who they are and what they are about. They have an all-encompassing narrative that guides their lives, and they want to impose these ideas on the world. Darrow argues that the church must reclaim a fuller, more biblical understanding of the Great Commission if it hopes to prevail against the twin threats of both fundamentalist atheism and militant Islam. The book is available for purchase here (at a discount through June 30).